The ability to make the world beyond a lecture hall her classroom is what kept alumni Emily Frank excited for each new learning experience that came her way. The Natural Sciences department quickly became much like a second home to the Massachusetts native when she began to form strong, meaningful connections with the professors and peers who surround her everyday. Connections she says she would not have been able to achieve at a larger school. “Most all the professors in the science department that I've worked with have had a significant impact on my academic and personal journey. They have all in their own way shown me how important it is to learn and to continue learning throughout our lives,” she said of her educators at the University. The mountains around Castleton’s campus offer both hiking during the warmer Vermont months and skiing during the winter, and to Frank’s delight, the greatest classroom for her chosen major. “Being able to have labs in an outdoor, mountainous setting is not only beautiful but is helpful in that I can see exactly what I am learning,” said Frank. 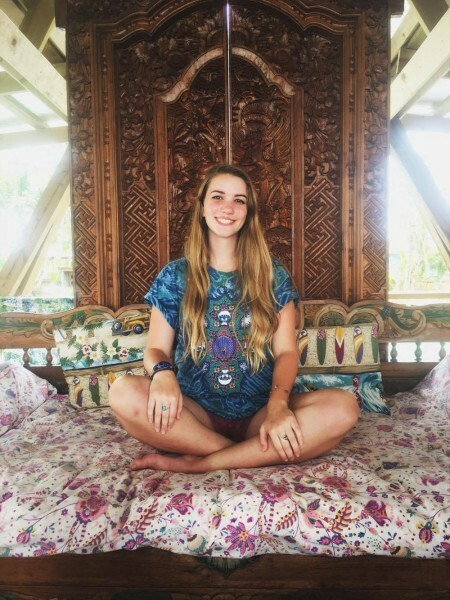 The skills provided by the outdoor and hands-on field work and research methods have solidified Frank’s desire to work outside in her future endeavors, whether for an environmental agency or an NGO abroad.